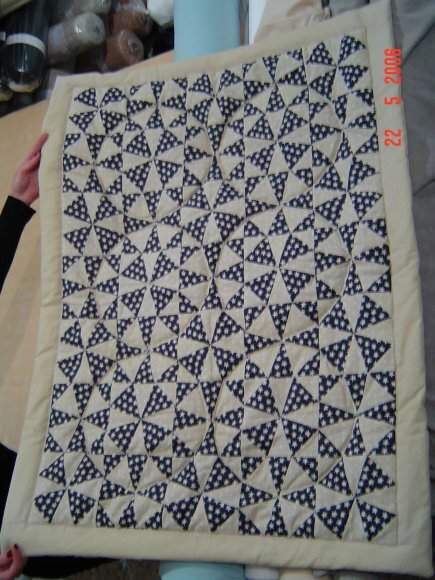 This makes a 12" block and is paper piecing ! The first thing that I would recommend that you do, is go to the Practice Paper Piecing Page. 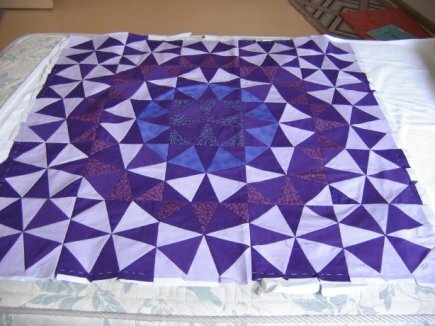 When you feel comfy with paper piecing, come on back and try a Kaleidoscope block! You will need to print out 4 copies of the template page per block you want to make on very lightweight paper. Fat Quarters will be fine! After piecing all units, sew together pairs to complete four quarter block. Join these to make one four unit block! 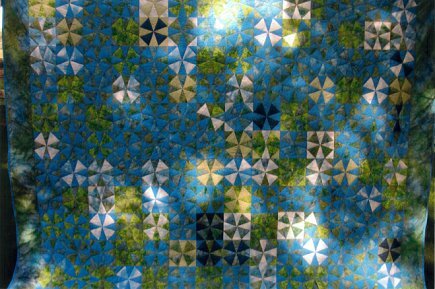 Here are just four blocks, with added lighter and medium colors within the same color family to add depth and interest! Here's Ruthie's! Virshi's! 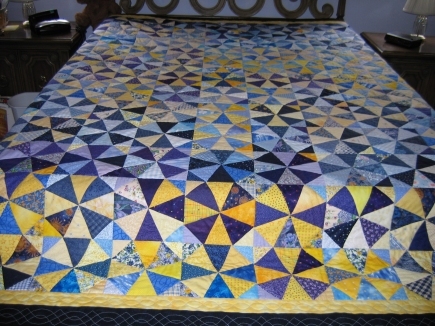 Rita's quilt! Tracy's! Ana Lucia's!